The project “Green Cities – Green Regions” aims to strengthen the partnership between Romanian and Swiss partners in order to contribute to the new challenge – transition to a green economy. 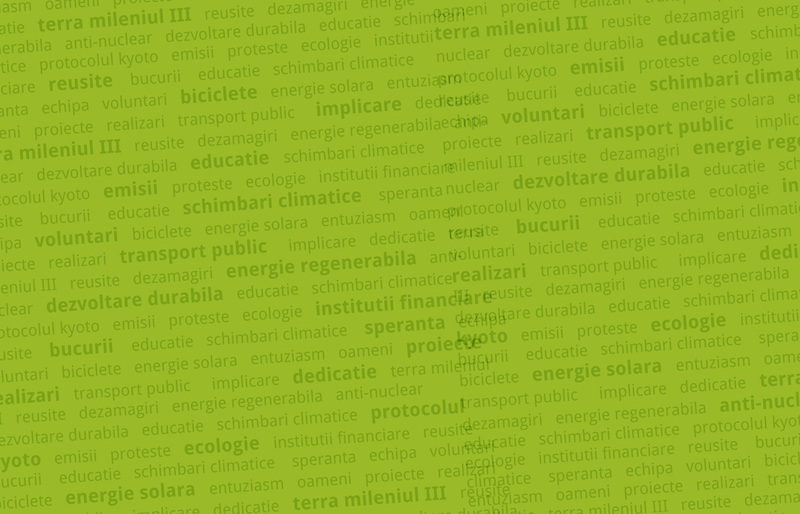 Together with our Swiss partner – R20, we decided to focus on this new challenge of green economy due to the fact that the phenomena associated to climate change are more and more frequent in Romania and in the world. Strengthening the level of cooperation between Swiss and Romanian green municipalities and regions. Project visibility and Information dissemination – media, websites, newsletter etc. Employees at the utilities companies belonging to the local administration. Partners: R20 – Regions of Climate Action and Romanian Municipalities Association (AMR).